In the United Kingdom there are number of highly infectious and potentially fatal diseases which can affect our pet dogs. There are no specific treatments for these diseases and, as vets, we can only provide supportive care; sadly this means affected patients often die. The simple and effective way to prevent against these diseases is by vaccination. A primary course followed by regular booster vaccinations is vital to protect your pet dog against these diseases. This is a very serious viral infection which is spread between dogs via inhalation of airborne virus. Symptoms often start with a cough and nasal discharge, vomiting and diarrhoea, but then progress to convulsions and neurological signs as the virus affects the brain. Many dogs infected with distemper virus die or need to be put to sleep, and those that do survive often have ongoing health problems. Protection against infection is given by a primary vaccination course, followed by a booster injection 12 months later, and a further vaccination is then required every three years. This viral infection attacks the liver leading to liver failure. Presenting symptoms can include coughing, a high temperature, and blue eyes, other patients are sadly found dead. The virus is resistant to many disinfectants, and can survive months in the environment. Protection against infection is given by a primary vaccination course, followed by a booster injection 12 months later, and a further vaccination is then required every three years. This virus causes life threatening vomiting, diarrhoea and collapse. The most severe cases are seen in puppies, but any age of dog can be affected. Many patients, especially the younger ones, die or need to be put to sleep. This is a tough and resistant virus which survives in the ground for several years and can be transmitted on contaminated objects or clothing. Protection against infection is given by a primary vaccination course, followed by a booster injection 12 months later, and a further vaccination is then required every three years. This virus is part of the complex of diseases which causes kennel cough (see below). Protection against infection is given by a primary vaccination course, followed by a booster injection 12 months later, and a further vaccination is then required every three years. This is a bacterial infection which causes a very serious disease, and this usually results in death of the affected patient. The bacteria are found in water contaminated with rat urine, and dogs are infected through contact with contaminated stagnant or slow moving water or from moist soil. The bacteria can cause sudden death from massive internal bleeding, or can cause jaundice and liver failure also resulting in death. Most importantly this disease can be transmitted to people. Protection against infection is given by a primary vaccination course, followed by a booster injection every 12 months. This is a collective term for a complex of bacteria and viruses which cause irritation of the windpipe and a dry, hacking cough. In adult healthy dogs this cough is not usually life threatening, but it can be severe, lasting up to a month. Affected dogs will often be off colour, can have a temperature, and may cough up blood tinged fluid. Young dogs, old dogs or dogs which are unwell for other reasons can develop pneumonia or bronchitis. The disease is highly infectious and spreads rapidly between dogs. Dogs may be infected through direct contact with infected patients or from walking where infected dogs have been. Protection against infection with Bordetella bronchiseptica is by a single intra nasal vaccination given once every 12 months. It is possible to vaccinate against rabies, but it is not necessary for patients who do not travel outside the UK. If you do wish to travel to Europe with your dog it is necessary to administer a rabies vaccination and to fulfil several other requirements in order that we may issue your dog with a pet passport. This pet passport will allow your dog to travel abroad in Europe and return to the UK without having to spend time in quarantine. In most cases a single rabies vaccination every three years is required, but the frequency may need to be increased depending on the requirements of the countries that you intend to visit. If you do wish to travel to Europe with your dog you must seek advice from your veterinary surgery at least nine months before your intended date of travel to enable time to complete the requirements of the pet passport scheme. If you intend to take your pet dog abroad he will need a rabies vaccination and a pet passport. You should make an appointment at least nine months before the intended date of travel to start your pet passport. When can my dog be vaccinated? Young puppies are protected from some infectious diseases by antibodies given to them by their mothers. This protection wears off at approximately seven weeks of age. Vaccination will not be of benefit in puppies until the protection from their mothers has waned. We therefore recommend puppies are given their primary vaccination course at eight and ten weeks of age. If your puppy is older or if you have acquired an adult dog with no previous vaccination history this primary vaccination course can commence at any age. Kennel cough vaccination can be administered from three weeks of age. Rabies vaccination and the pet passport scheme can commence from three months of age. Vaccinated dams will pass immunity against infectious diseases onto their puppies. This immunity wanes by approximately seven weeks of age. Puppies may start their vaccinations from eight weeks of age Why does my dog need regular booster vaccinations throughout life? The protection given by the primary vaccination course is not life long and the immunity wears off at differing rates for different vaccinations. Adequate antibody levels should be maintained at the level necessary to fight infection should it arise. If a patient has missed its annual booster by greater than eighteen months it will be safer to have the primary vaccination course repeated to ensure adequate protection. Older dogs should continue to receive annual vaccinations. Immunity does not last for life and the immune system deteriorates with age. It is very important to ascertain that your pet is healthy prior to administration of a vaccine. 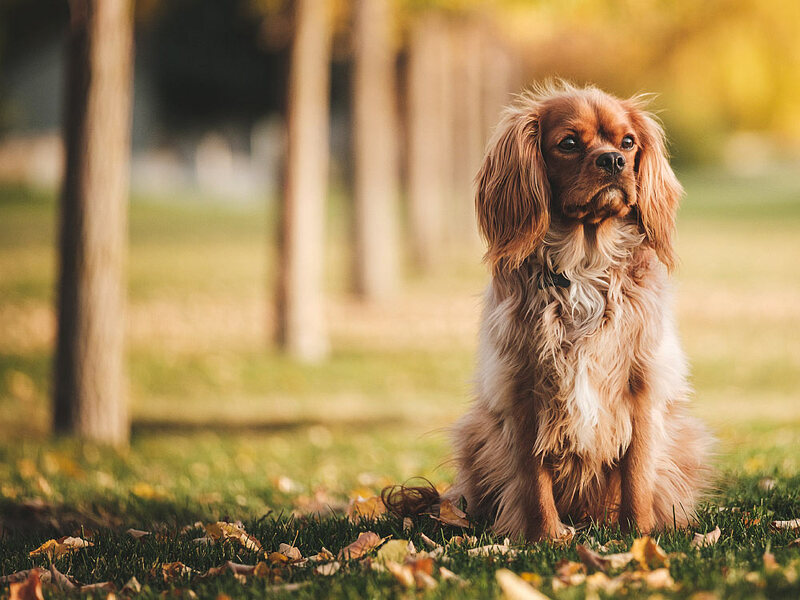 It is common for dogs, especially young puppies, to be slightly off colour for one or two days following vaccination and occasional individuals will be a little tender at the site of the injection. It is fortunate that we do not see most of the diseases discussed very often, but please remember they are highly infectious and are often fatal when contracted. If regular vaccination against them were stopped, we would undoubtedly see an increase in their occurrence and this would be devastating for our pet dog population. If you have any further questions about the vaccinations available for your dog please telephone us and speak to a veterinary surgeon or veterinary nurse who will be happy to advise you. If you would like to make an appointment for your pet to have a vaccination please contact one of our reception team who will make an appointment as soon as possible.